The use of online video as a marketing and promotion tool has exploded over the last few years, and with good reason. The emergence of YouTube and other no or low-cost video resources has made it possible for small businesses and entrepreneurs to reach potential customers quickly, easily and affordably. YouTube is now the fourth-most-visited site on the Internet, and—surprise—the second most popular search engine, right behind Google. Video gives you new opportunities to increase your visibility and credibility within your market. Using video can be one of your most powerful tools in getting booked solid. Just like the other social media strategies I’ve discussed, video marketing could easily take up a book of its own so here I’ll focus just on what you need to get started—without getting bogged down by the technology. I’ll also point out several ways to use video marketing to your advantage, and we’ll look at a few entrepreneurs who are using online video successfully. By the way, everything I know about video, everything you read below, and everything that appears in the forthcoming second edition of Book Yourself Solid, I learned from Lou Bortone, the online video branding guy. As mentioned previously, video has a low barrier to entry. There is very little investment to creating online videos. All you really need to start is a webcam and a free account on YouTube.com. Online video is a great way to create a strong, personal connection to your clients and prospects. Like social media, video begins building a personal relationship even if you’ve never met face to face. Video enhances your trustworthiness, credibility and likeability. It’s easier for people to relate to you when they can see you on screen and hear your voice. Another benefit of video is that it can significantly improve your search engine rankings. SEO experts agree that Google loves video, and a Forrester Research study found that video has a 50 times better chance than plain text for getting to the top of search rankings! All of these strategies work together to create one of online video’s biggest strengths—increasing awareness for who you are and what you offer—and it accelerates the sales process. Web site. You can create a welcome video for your home page, perhaps sharing your who and do what and why you do it statements with your web visitors. Blog. Turn your blog into a vlog, or video blog, with which you can provide expert tips, product reviews, and news about your programs and services. Sales Page. Video sales messages are becoming more common online, and you can get in on the act by adding a video to your sales page. Client testimonials through video. Create video testimonials for clients or colleagues, and ask them to do the same for you. 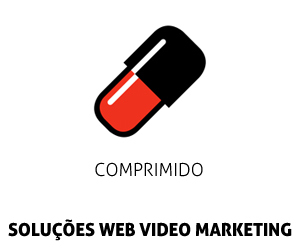 Video e-mail. Add video (or a link to a video) in your e-mail, turning your message into a video postcard. Video coaching. You can also use video to enhance the delivery of your services by making your sessions or meetings with your clients more personal, interactive, and dynamic. Check out online tools such as Skype.com, Ustream.tv or Dimdim.com. Video tutorials and screen captures. You need not be on camera to create videos. Consider creating video tutorials or online demos using tools such as Jingproject.com, Camtasia.com, or ScreenFlow.com for the Mac. If any of these video suggestions sound daunting to you, take heart in the knowledge that the entire process of creating online video boils down to four simple steps . . .
Let’s take a brief look at each . . . Consider what video can do for you. Where can video have the most impact on your business? Whatever you decide, be sure it’s part of your overall marketing strategy. Video marketing should be integrated with the rest of your marketing plan, and not just as an add-on or afterthought. Whether your objectives for video include visibility, branding, search engine optimization, web traffic, or client attraction, your goal will determine your path. If your goal is to enhance your expert status, for example, you may consider doing a weekly, live webcast on Ustream.tv. With a free account and a webcam, you can create your own “Ask the Expert” web TV show. If, on the other hand, your goal is to educate or inform with instructional videos, then a Camtasia or Jing screen capture demo may be your best option. Be consistent with your content. Don’t confuse your viewers. Develop an overall theme for your videos and stay on message. Maintain an almost fanatical focus on your core message. Your message includes not only what you say, but how you say it. Why is keeping your message consistent so important? If your video message is clear and coherent, people will immediately understand what you do, and that makes it much easier to attract clients. Customers will seek you out because there’s no confusion about who you are and who you serve. Do this consistently over time, and your message will become part of your brand. Record directly through a webcam. Probably the quickest and easiest option. Record live through a webcast. Using free web sites such as Ustream.tv. Shoot on location. Usually outdoors using a portable pocket camera like the Flip Video camera. Tape a screen capture or slide show. Using PowerPoint or Jingproject.com. Create a video or photo montage. Using web tools such as Animoto.com. Keep in mind that whatever delivery method you choose, your format also includes your personal style. In other words, consider the tone and attitude of your delivery. Do you want to be humorous or informal, or does a more authoritative and informative approach work better for you? Obviously, your format is going to dictate your equipment needed, so let’s take a brief look at some nuts and bolts. Fortunately, with an inexpensive webcam, pocket video camera, or minicam, you’ll be armed with enough to get started. Most digital photo cameras even have a video function, so your existing camera may be all you need. With your camera, your computer, and a free account on YouTube.com, you’re ready to create video. If you decide to edit your video—which is not a requirement—you may want to start with editing programs that likely came with your computer or operating system. If you’re on a Mac, chances are you already have iMovie. If you’re a PC user, Windows Movie Maker comes standard with most Windows-based computers. Both are good starter programs if you choose to add graphics, music, or simple effects to your video. For more complex editing options, and a lot more on using video for marketing, visit Lou Bortone’s site at OnlineVideoBranding.com. Lou is a Certified Book Yourself Solid Coach and an absolute master at teaching people how to get booked solid using video. Okay, back to the material. . . .
What if you are having a bad hair day or you’re terribly camera-shy? If you do not want to be on camera, you can still create great online videos to promote your business. There are several software programs and online resources to help you create videos without you having to be on screen. I mentioned Animoto.com earlier, which is a great web resource for making videos using your own photos and text. Animoto even provides music for your montage. Just plug in your photos and the Animoto software outputs a slick, professional, ready-to-go video. A similar web site with even more bells and whistles is OneTrueMedia.com. You can also create video tutorials or screen captures using Jing (JingProject.com), Screenr.com (free), or the more expensive and more complex screen capture program, Camtasia.com. Even PowerPoint presentations can be adapted and used as online videos. The fourth and final element for video creation is your online distribution. It’s rarely enough to simply upload your video to YouTube.com and expect instant fame and fortune. Your video must be leveraged and distributed across a number of platforms for maximum impact. Sharing and promoting your video is a vital step in the process. The greater the distribution of your video, the more visibility you’ll receive. Start by uploading your video to YouTube. Use the embed code that YouTube provides to post the video on your own web site or blog. You can also use the link YouTube provides to send out in an e-mail or e-zine. Use YouTube’s one-click share functions to cross post your video from YouTube to Facebook, Twitter, MySpace, and more. Once you’ve got YouTube covered, you can open a free account on TubeMogul.com. After you set up your account on TubeMogul, you can use that site as a launch pad to blast your videos to more than a dozen other video hosting sites with a single click. As you can see, YouTube can serve as the foundation for your video distribution. Like most video hosting sites, YouTube makes it easy to share your video across several social media platforms. 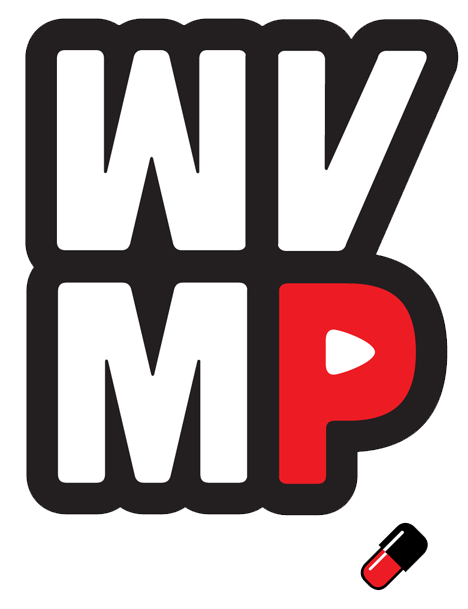 There are a few important considerations to keep in mind when you upload your video to YouTube. First, you want to make sure that the title of your video is descriptive and incorporates your keywords. Then, be sure to start the description section of your video with your web site URL. If you include your web address in the first line of the description, it will show up as a live link back to your web site. Finally, be sure you also fill out YouTube’s tags section with your keywords.